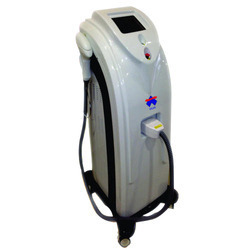 Our product range includes a wide range of hair removal laser machine, hair removal diode laser machine, 808nm diode laser hair removal machine and opt ipl shr machine ( e light ). We put forth impeccable Hair Removal Laser Machine to our valued clients. Designed to perfection, these products conform to the defined parameters of the industry. 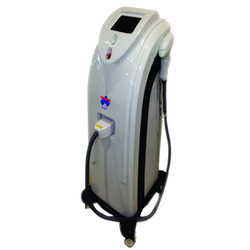 To cater to the diversified demands of the clients, we offer these Hair Removal Laser Machine in different specifications. 808nm “ The Brand Of “N-Light ” Laser Bar Made by USA. Separate Three mode : Hair Removal / Skin Rejuvenation / Fast Hair Removal. We put forth impeccable Unique Hair Removal Diode Laser services to our valued clients. Designed to perfection, these products conform to the defined parameters of the industry. To cater to the diversified demands of the clients, we offer these products in different specifications. 808nm “ The Brand Of “N-Light ” Laser Bar Made by the USA. 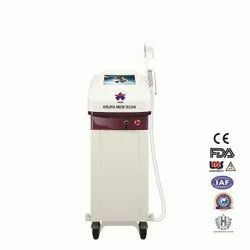 Separate Three mode: Hair Removal / Skin Rejuvenation / Fast Hair Removal.